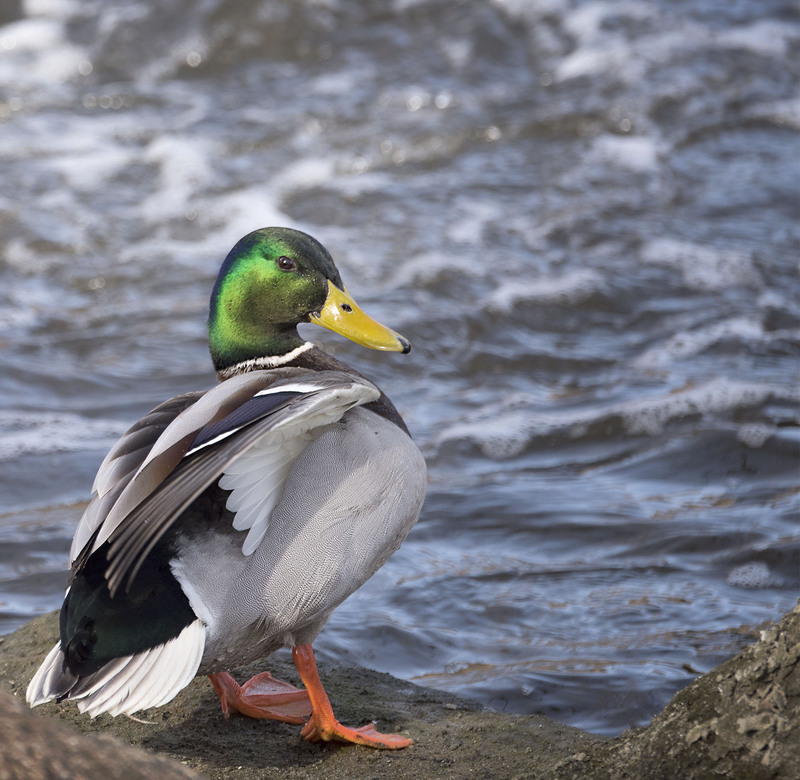 The Male Mallards are really looking sharp these days. Fully dressed in mating colors this male Mallard was just chilling on the river bank watching the ladies swim by. Sharp looking Mallard. Hope you have a wonderful weekend. He is very handsome. Nicely composed shot. Thanks Eliza and hope your weekend is fine as well. He is a good looking guy for sure. Hope your doing well and wishing you a fine weekend.